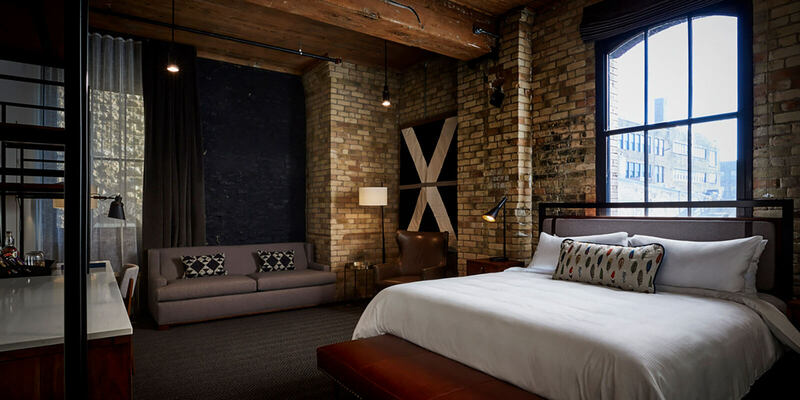 The Hewing Hotel, in the North Loop, occupies a former farm implement showroom and warehouse built in 1897. Fellow was challenged to create a Nordic-inspired, authentic Minnesota brand that would appeal to locals and travelers alike. When researching, we were inspired by the massive timber that lined the interior and logging, Minnesota's first major industry. 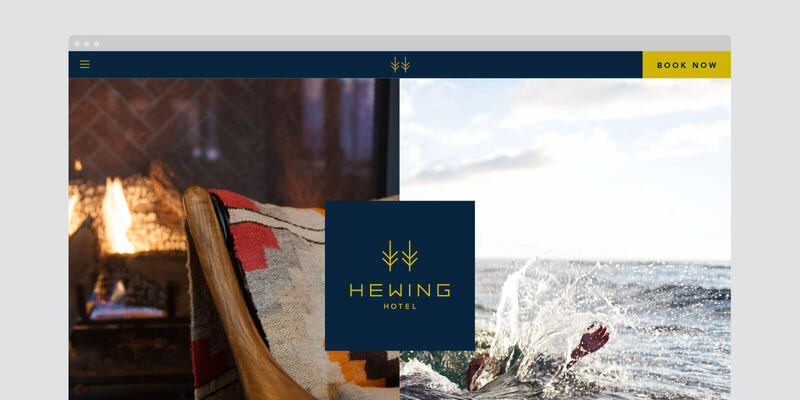 The name Hewing Hotel was born. Hewing is a process of refining a log into a usable shape for building. Refinement, craft and exceptional hospitality are driving principles of the hotel owners and management. 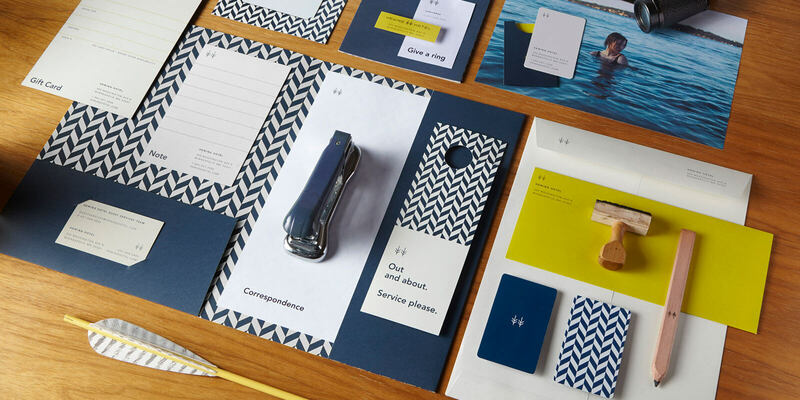 We carried the brand story throughout the entire hotel and Tullibee, the woods & lakes-inspired restaurant. 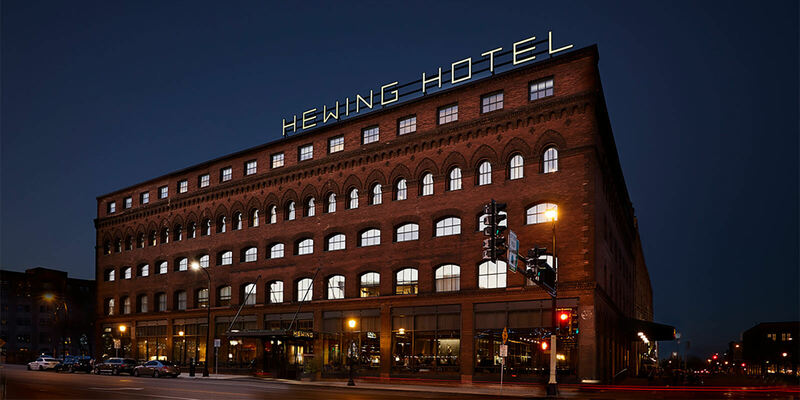 Hewing Hotel is now voted one of the best experiential hotels in the nation and has become the living room of The North Loop. 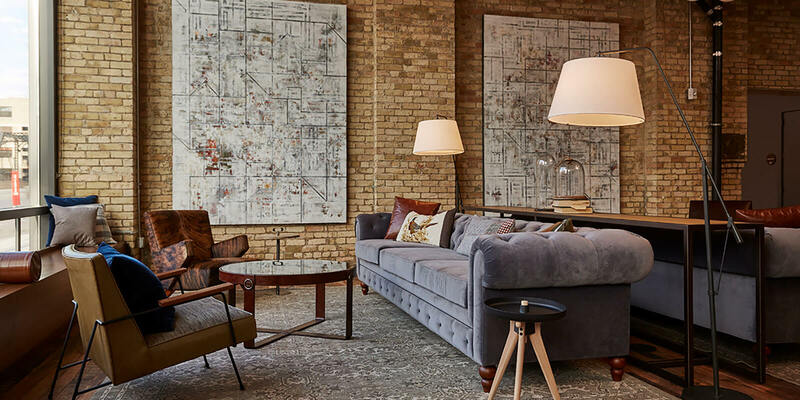 The backwoods goes big city at the Hewing Hotel. AdFed Silver and Bronze. Graphis Silver. Merit Award, HOW International Design Awards. Selected as The Most Beautiful Hotel in Every State in America, Architectural Digest. Want to see Nordic done the right way? 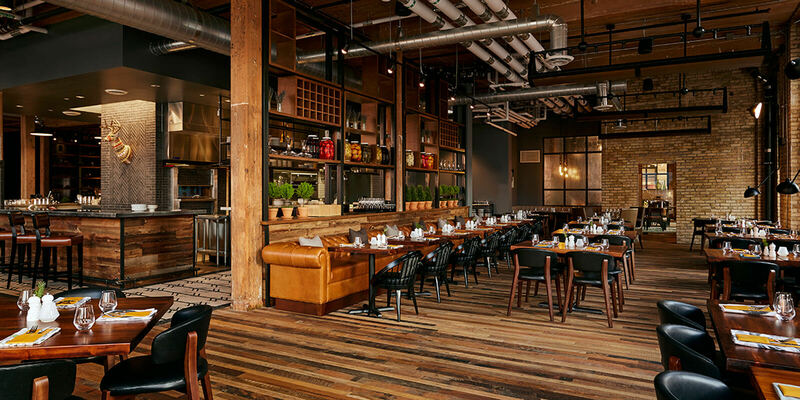 Head to Tullibee at the Hewing Hotel.